Here is the follow up information you may need after completing your course. CRSW: I have loaded all the information pertaining to CRSW credentialing on my website www.nhrecoverycoachacademy.com. Click on CRSW info. The application, study guides, four domain list, etc…are all on that page, as well as the Licensing Board contact info. 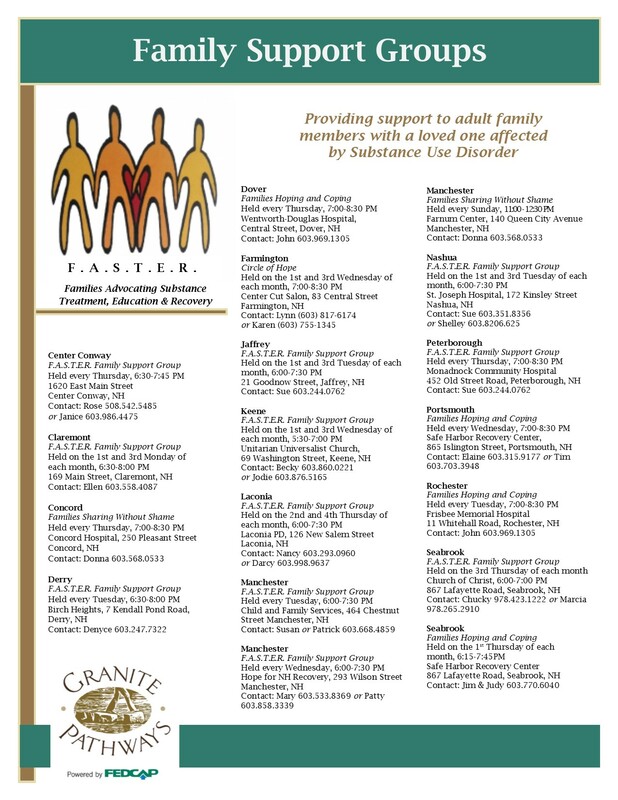 Also on NHRecoveryCoachAcademy.com is a complete list of Recovery Centers in NH and a list of Treatment Centers that are funded by the Bureau of Drug & Alcohol Services (BDAS). Click HERE for that website page. Advocacy: I have forwarded your contact information to New Futures, the NH Advocacy organization for legislation reform. Their website address is www.New-Futures.org. You can peruse the website for bills going in front of the House of Representatives and choose to be a part of advocacy for those. There are a large number of bills being proposed this year. I think you’ll be stunned! If you wish to reach out to Aly Mcknight, who did the presentation on language, her email is amcknight@new-futures.org. NH Problem Gambling Council & Gamblers Anonymous – to find a meeting; http://www.gamblersanonymous.org/ga/locations. To reach out to Ed Talbot you can email probgambnh@aol.com. You can also get more magnets and handouts plus Ed is happy to do a presentation/training at your facility. Here is a downloadable version of the Problem Gambling Questionnaire. Also, Ed is in need of some volunteering if you, or anyone you know may be interested. The Ted Talk that we didn’t get to show you is called everything you know about addiction is wrong and is by Johann Harri. The link is https://www.youtube.com/watch?v=PY9DcIMGxMs and it is 15 minutes long. Please check the website often as I am trying to continuously update the site with blog posts on things that are going on around the state. Please let me know what I have failed to attach. Thank you all very much.